It’s December already and the weather is showing it, sort of. Though there is a bit of snow on the ground and Lac Lawrann has a covering of ice, around Thanksgiving weekend I had a chipmunk running around cleaning up sunflower seeds as I was filling bird feeders. That was 2 weeks later than I’ve ever seen them out foraging. Yet temperatures have been below average for the past 3 weeks. Many patterns are changing and that’s why it’s called climate change. While outdoor activities may slow a bit for some of you at this time of year, there are still lots of things to catch up on at the conservancy. It has been a year of many accomplishments. 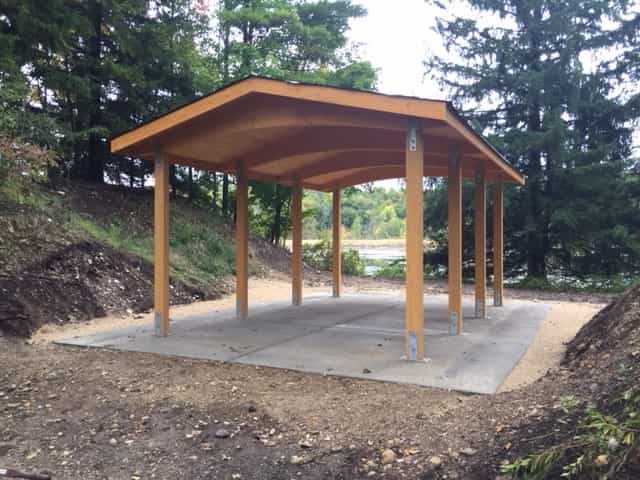 To bring you up to date on recent events, the parking lot was sealed, new stairs were installed by city crews and our stewards on the hill to the railroad spur trail and to round out the list we constructed a volunteer memorial shelter on the site of the old Maurin house. 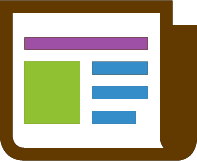 That is quite a list toadd to what I described in previous newsletters and we hope to be able to addto it for next year. Work projects aren’t the only things going on at LLC. Here are a few of the other happenings. 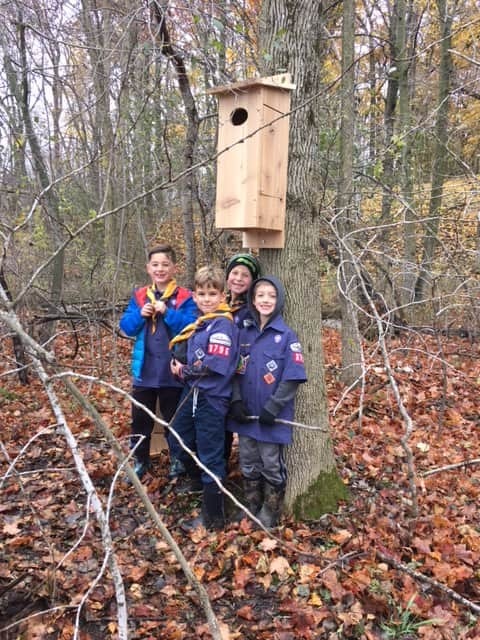 Field trips of students from our Nature in the Classroom program filled late April and May, with hundreds of children experiencing what Lac Lawrann has to offer. Couples continue to choose to have their weddings at LLC. It seems we have a good reputation for a scenic venue. Our Luminary Walk this past October drew the largest crowd yet, with estimates of over 1000 attending. The Conservancy is also a favored place for groups to volunteer. 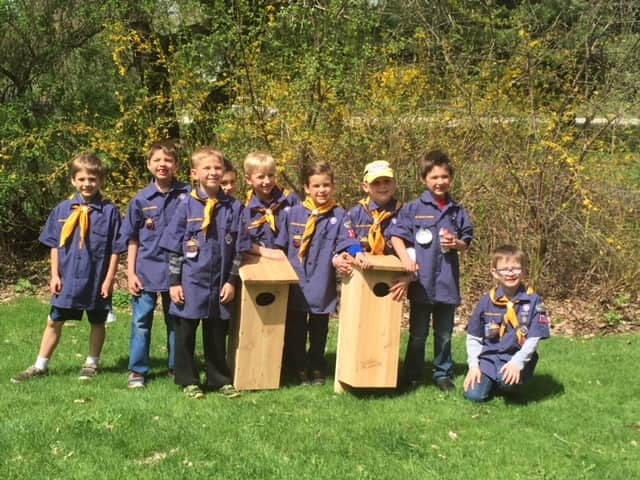 We had the Tiger Cubsfrom Pack 3796, build and install two wood duck houses on the conservancy. 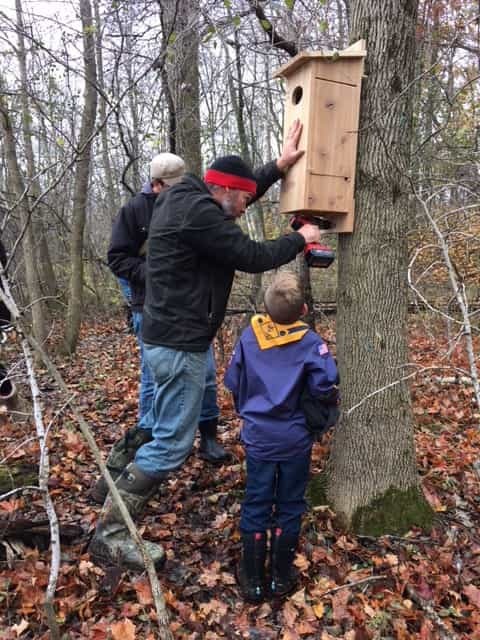 It is great to see kids getting involved in outdoor activities and volunteering early. As the holiday season approaches and you feel the need to get outside, know that Lac Lawrann is open all year from dawn to dusk. We have 145 acres and 5 miles of marked trails as well as 120 pair of snowshoes available on Saturdays when there is snow. Mark your calendars for January19, 2019 for our Winter Luminary Walk and watch our emails and Facebook feeds for Snowshoe Saturdays.